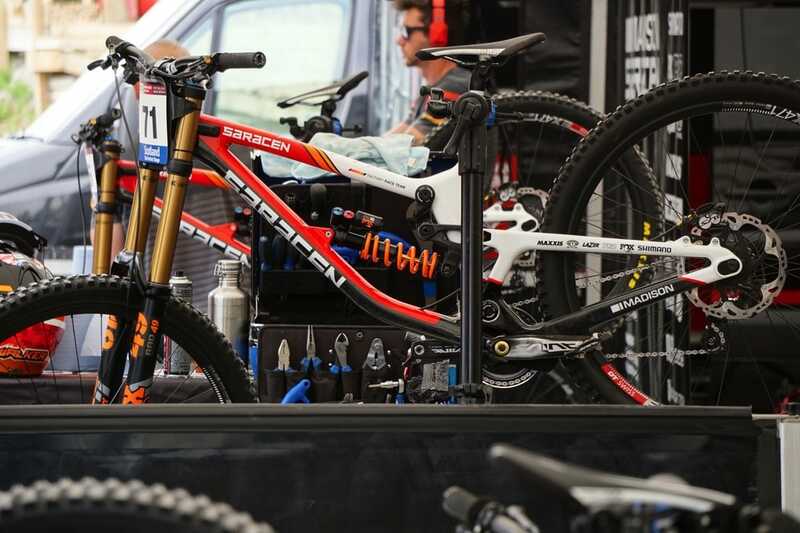 Race day is almost upon us here at the 2018 Fort William World Cup. The crowds are building and the atmosphere is rising. It’s hard to believe that just a few days ago the Nevis Range was almost empty, with teams starting to arrive to get set up. In unusual form for us, we arrived on site early on Wednesday morning. 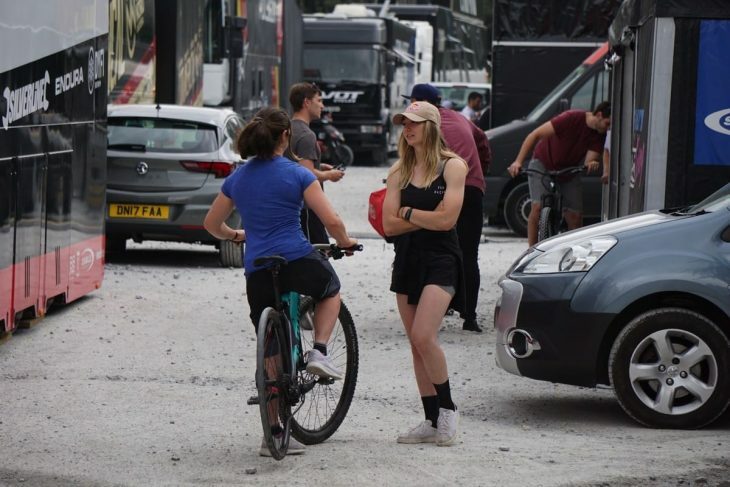 Over the past few days, we’ve been stalking the race pits and event arena, snapping away with our superzoom lenses to give you a behind the scenes look at all the action. Want to see the freshest of the fresh? 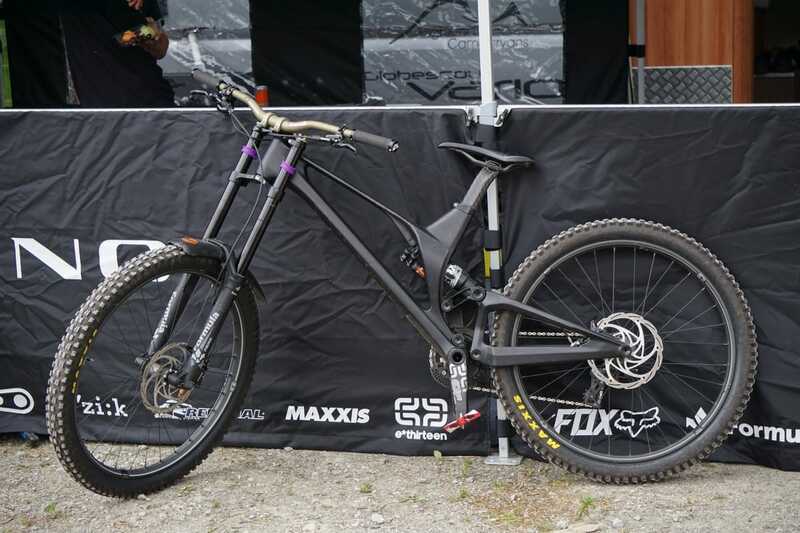 Make sure you check out our ‘9 Prototypes Spotted At Fort William’ article here. But to get a feel for the atmosphere and the general happenings in and around the racing, then keep scrolling through the gallery here. Arriving early meant we could get on track before most of the pros even arrived giving us time to scope out the new forest section. 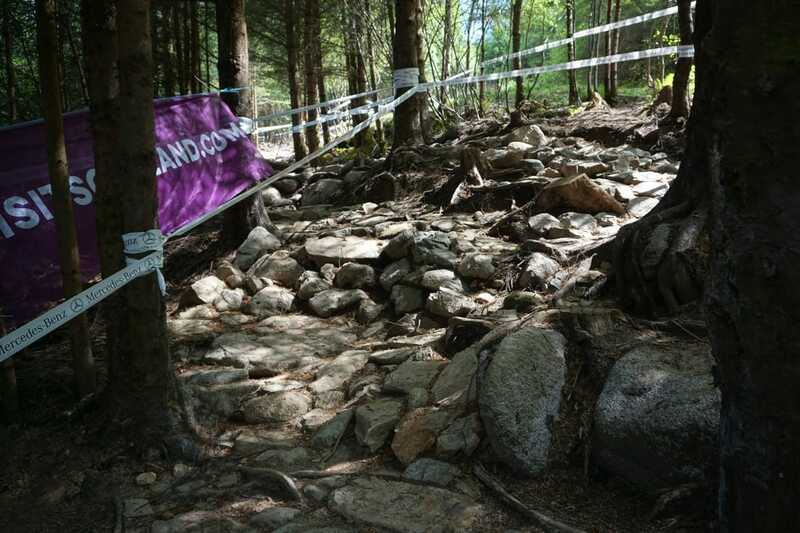 This section of the course received quite a bit of criticism last year after only a few riders managed to clear it cleanly, so as a result, this year it has all been changed with any trace of mud and roots removed. 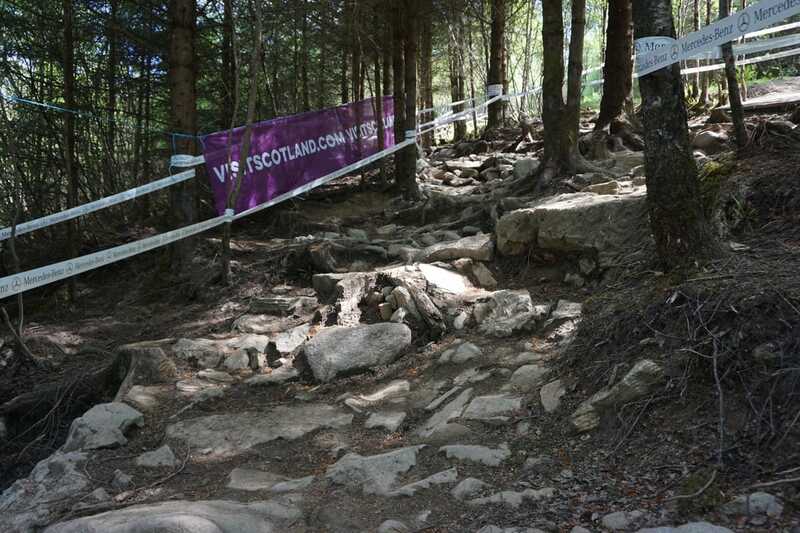 Instead of the previous slop-fest, this section starts off with a drop into a fast corner then right into these rocks..
As always its much steeper in the flesh than on camera. 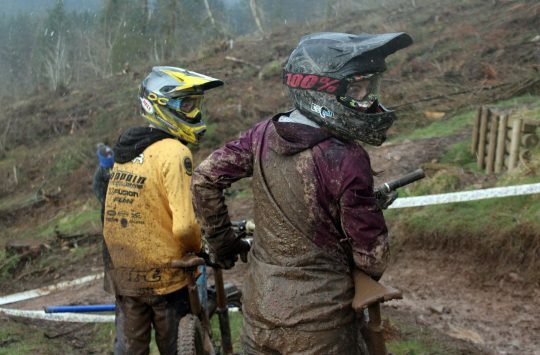 We’ve chatted with a few riders, and thoughts are split on if the change is good or not. But all riders agree that it’s a challenging section whether they like it or not. And the armoured section of trail will surely stand up a whole lot better if (or when?) the weather takes a turn for the worse. 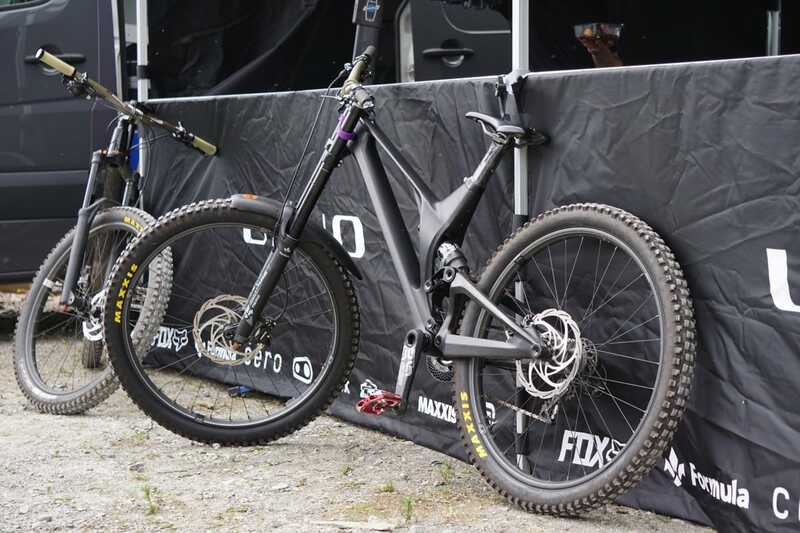 The UNNO DH bike is a beauty in the flesh. Spanish boutique bike builder UNNO will be racing at Fort Bill this weekend, and we had been on the hunt for a photo of their downhill bike since day one, but it was only yesterday that we caught sight of it. In fact, we’ve seen four of these hyper bikes circling the pits, each lovingly handmade from carbon fibre in Barcelona. 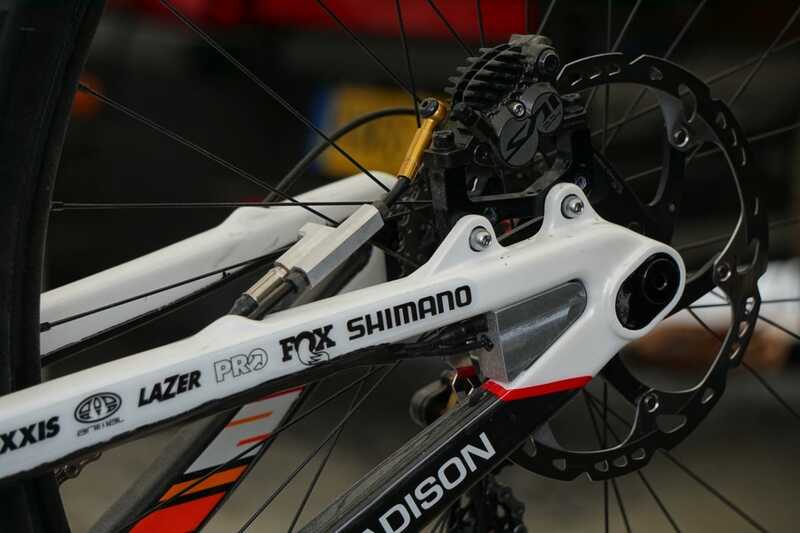 This bike is running mismatched suspension from Fox and Formula and a selection of E*13 components. Even legends like Peaty still have to put in the hard yards. 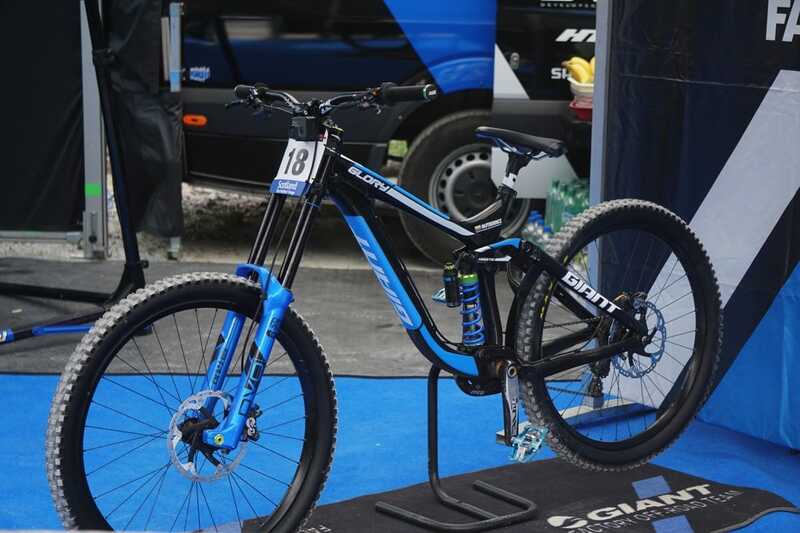 Peaty’s ride for Fort William. 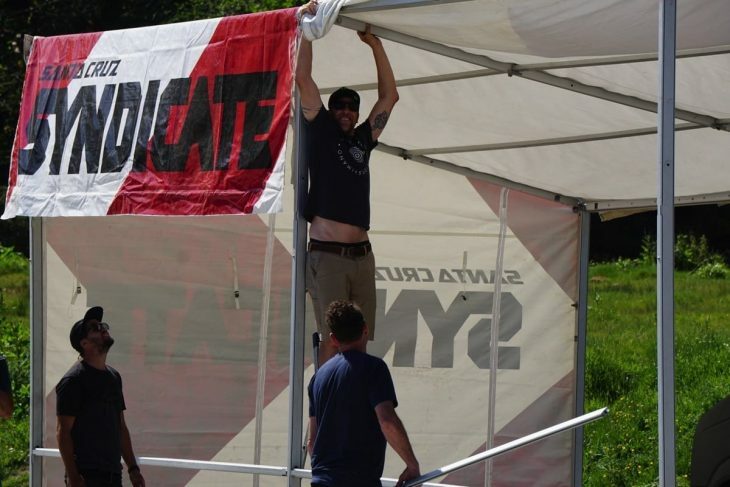 Even though he isn’t racing, Peaty is still here at Fort William and is more than happy to get his hands dirty with pit setup. 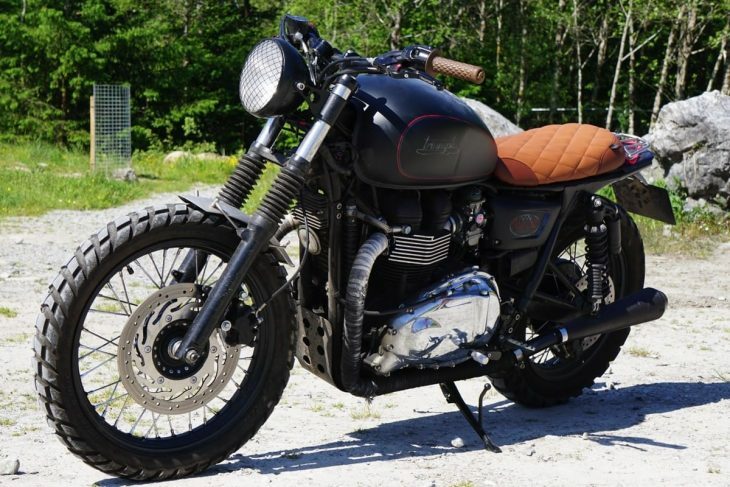 His rather cool Triumph Scrambler is on site too. There are only a limited number of these UCI Photographer vests. Wil celebrates after securing two! DVO blue for this Giant Glory race bike. Custom blue coil with green shock spacers. 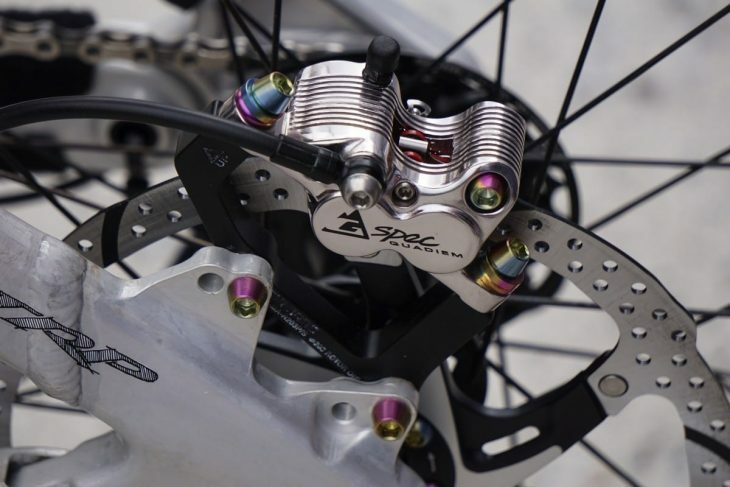 Shock spacers were appearing on a few bikes. 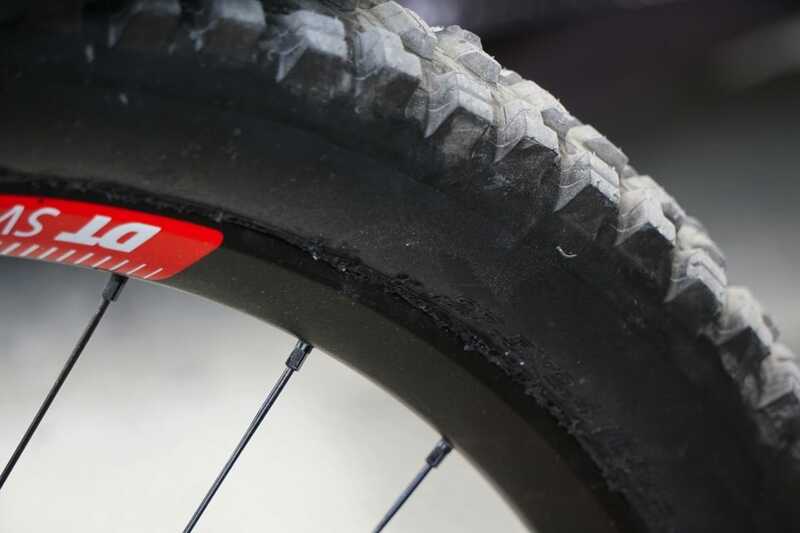 Giant has a full detail of trail and downhill bikes taking up space in its pits, all of which are sporting DVO suspension. A DVO technician is also on site to ensure pros get setup correctly. 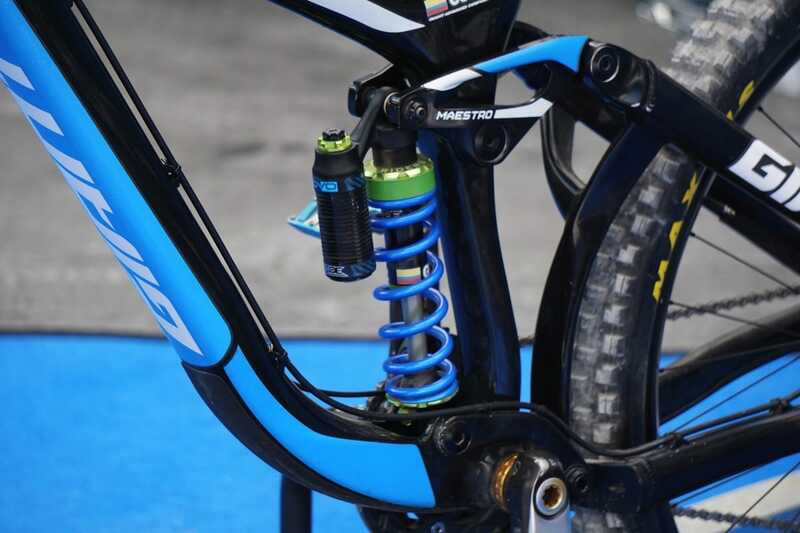 We’re digging the custom blue DVO forks and blue coil on the rear of the DH bike. It looks like the Polygon guys suffered a blowout on their travels. Thankfully they’ve arrived safely along with their new prototype DH bikes. When was the last time you went to a football match and bumped into a pro at halftime? 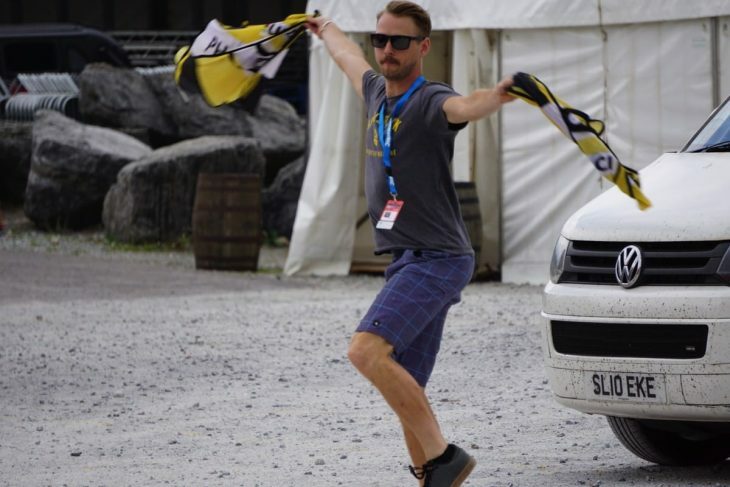 Do you think Lewis Hamilton pops to the onsite burger van at the F1? 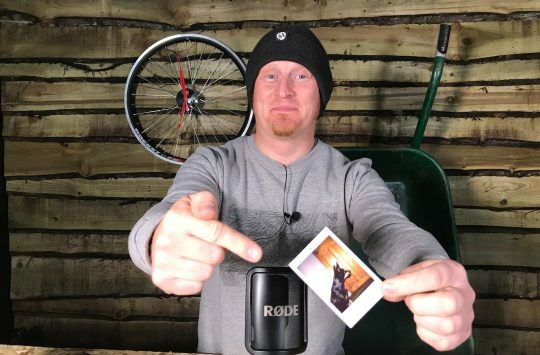 Mountain biking is a bit different though, and when you’re not in line with Aaron Gwin at Morrisons, or bumping in to Claudio in the woods, you can be sure to bump into mountain biking royalty in the race pits. We’ve covered Brendog’s prototype gambler in full, but we are really loving the use of petrol Ti bolts to keep the weight down to a minimum. Signature Brendog bars made by Deity. 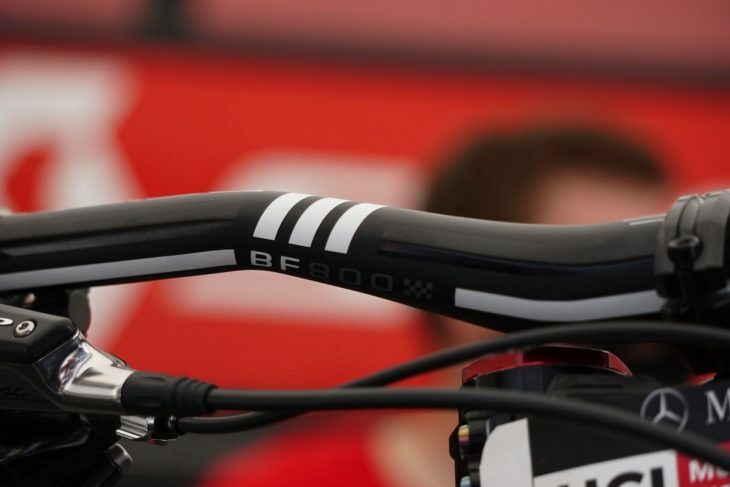 We also got a first look at a new Death grip colour and the BF800 aka the Brendon Fairclough signature bar from Deity. 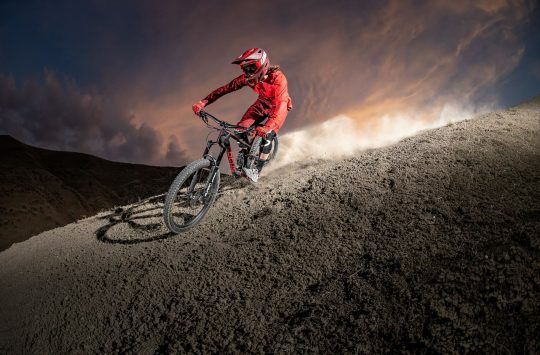 Another downhill bike that has the option to run different wheel sizes is the new carbon Kona Operator. 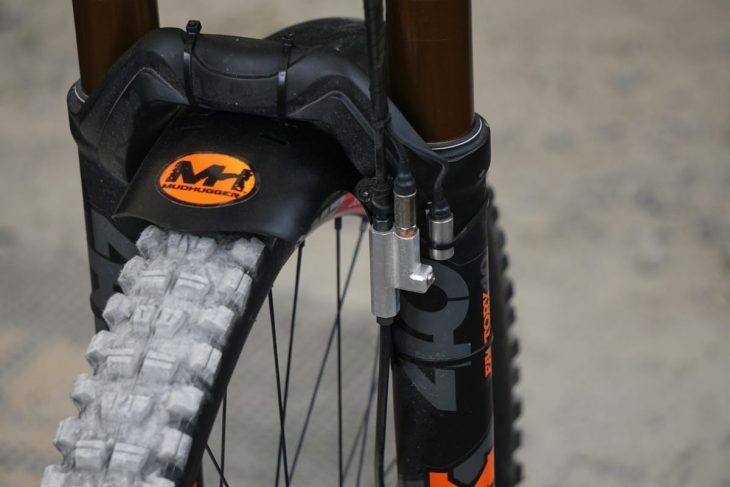 There are more details about the bike here, but just check out the length of the pins on these custom HT pedals! Saracen has the new 29er Myst up at Fort William, but it doesn’t look as though Danny Hart will be racing one this weekend. Danny actually has two 27.5in bikes up at the pits, one his race bike and the other a test rig dripping in electrical sensors and other gubbins. Data collection is one of Danny’s hobbies. We hope he is GDPR compliant. Telemetry sensors are located on the fork, behind the rear shock and in a neatly machined alloy block in the swingarm. Searching for those valuable seconds. 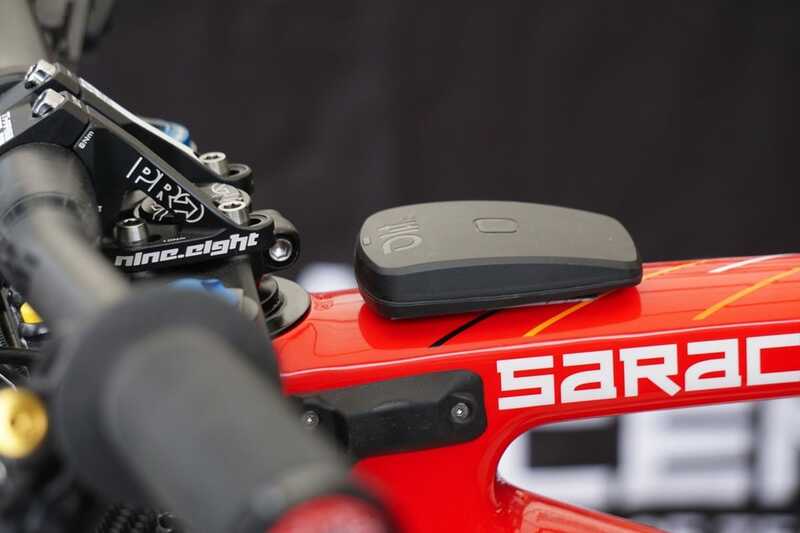 Additional sensors in the hydraulic brake lines feedback more information to a little black box attached to the top tube. This information is then fed to Danny’s iPad. Very hi-tech. 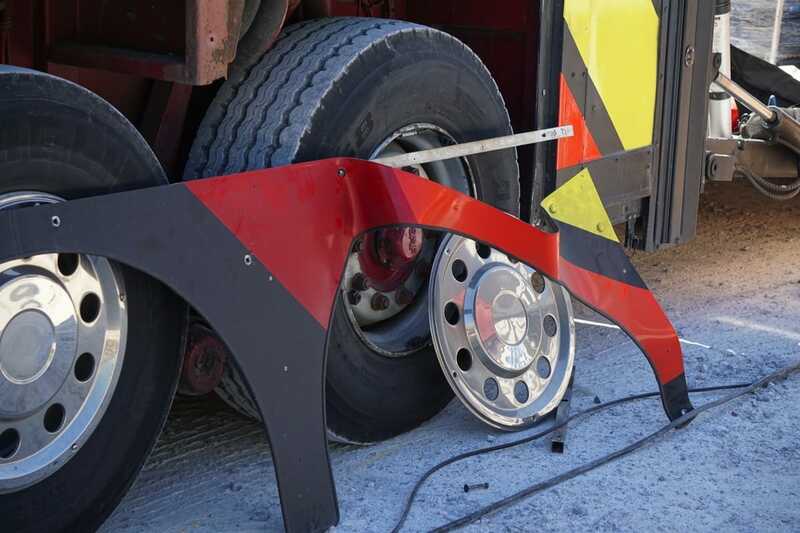 It also looks as though Danny’s mechanic has glued his tyres to the rim, but when quizzed everyone fell strangely silent. What do you think the gluey residue is around the tyre bead and rim sidewall? 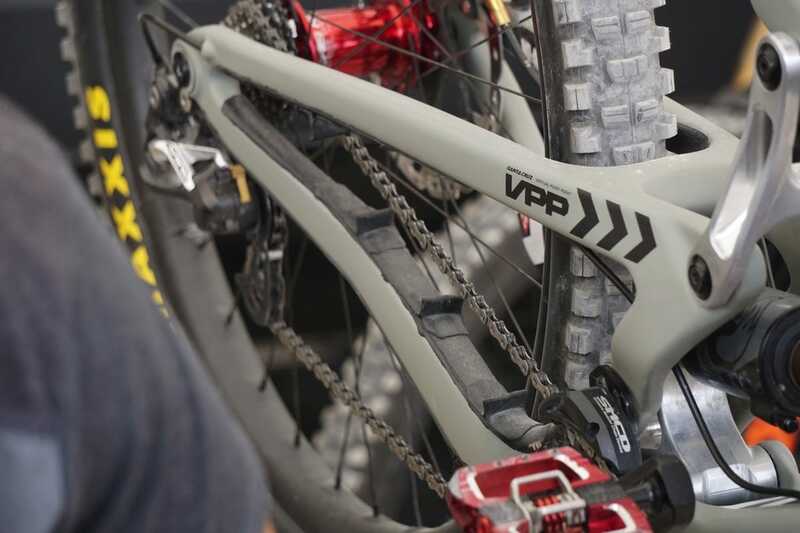 Another new bike at Fort William is the production 29er V10, which along with a lower standover height and kinked downtube features a homemade rubber chainstay protector. 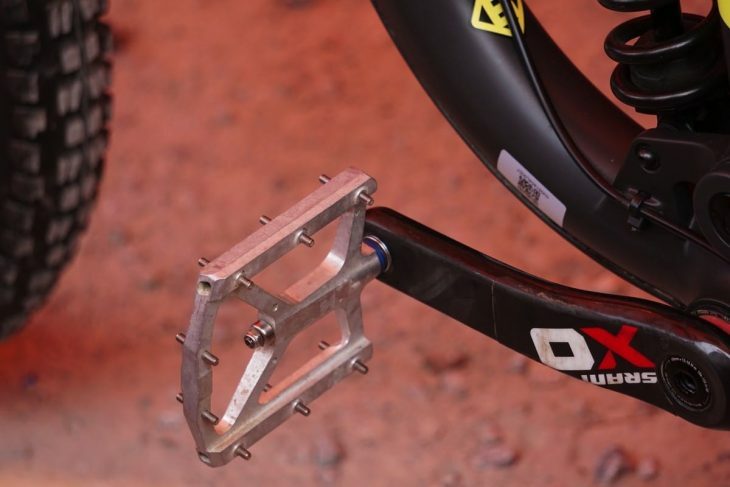 The odd shape is designed to keep sound to a minimum and is reminiscent of the one Specialized uses on the new Stumpjumper.